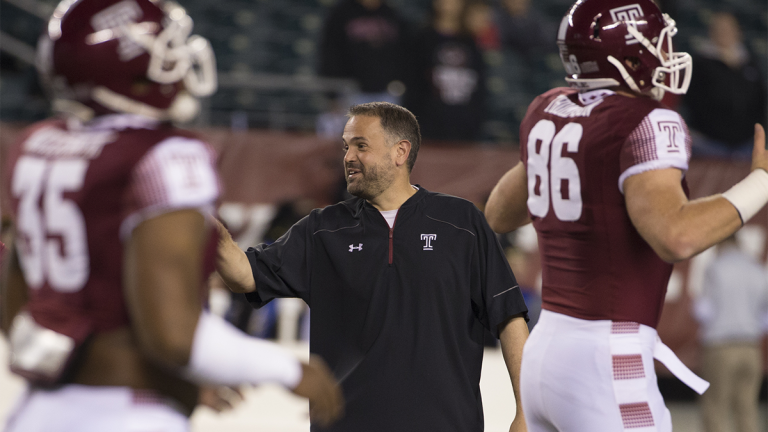 Temple says Matt Rhule has agreed to a six-year contract, keeping him at the helm of a team that’s heading to a bowl for the first time since 2011. Financial terms of the deal announced Monday were not disclosed. The third-year head coach has turned around a program that went 2-10 in 2013; 6-6 in 2014 and this year finished the regular season 10-3. The No. 24 Owls will play Toledo in the Boca Raton Bowl on Dec. 22. Athletic director Patrick Kraft says in a statement Rhule is responsible for making Temple a national program.